At a recent social gathering, a friend of mine mentioned some ringing in her ear. She said it had been keeping her up at night and she wondered if she should see a doctor for it – or if talking to me for five minutes would relieve her anxiety and spare her an office visit. The noise my friend was describing is called tinnitus. About 10 percent of adults in the United States have experienced tinnitus, also known as head noise, in the last year. About 50 million adults have experienced it in their lifetime. One in five people afflicted with tinnitus find it to be bothersome, that is to say it tends to disrupt enjoyment of everyday activity. It can be anything from a low-pitched hum to a high-pitched screech. External ear and ear canal Sound first enters through the ear canal. Waxy buildup in this part of the ear can cause a pulsating type of tinnitus if there is enough of a blockage. Middle ear In the middle ear, sound vibrates the eardrum and travels through the tiny bones which connect to the inner ear. There are muscles in the middle ear that attach to the hearing bones. Abnormal contractions of these muscles cause tinnitus. Additionally, if the ear bones do not carry the sound correctly, this can lead to tinnitus as well. Another source of noise in the middle ear might be the two large blood vessels (the carotid artery and the jugular vein) in that area. It is normal to hear your heartbeat during exercise, during an ear infection, or with a high fever. However, sometimes blood vessel abnormalities can cause what’s called a pulsatile tinnitus, a rhythmic pulsing that is often in time with your heartbeat. Inner ear and hearing nerve The inner ear conveys sound through delicate fluid-filled chambers. Anything which disturbs the pressures in these chambers can cause tinnitus. As people age or are exposed to loud sounds, these small and imperceptible injuries to the delicate cells of the inner ear add up. This can cause tinnitus and is often associated with hearing loss. Likewise, anything that causes damage to the hearing nerve can cause tinnitus. Brain Once the sound reaches the hearing nerve, it is routed through complex pathways in the brain. Rarely, an abnormality of the brain can cause tinnitus. In these cases, increased stress, depression, and anxiety can increase one’s perception of the ringing. As you can see, there are many causes of tinnitus. The most common type is related to hearing loss, and it is not dangerous. However, it does need to be checked out by a doctor. The doctor will take a history, do a complete exam, and get a hearing test. If the ringing doesn’t seem to be the typical type, then more tests may need to be done. Most patients with hearing loss and tinnitus will benefit from the use of a properly-fitted and adjusted hearing aid. Other parts of managing tinnitus include avoiding loud noise exposure, controlling stress and anxiety, avoiding stimulants like caffeine and tobacco, and getting adequate rest. For some patients, biofeedback techniques and tinnitus retraining therapy can be useful. 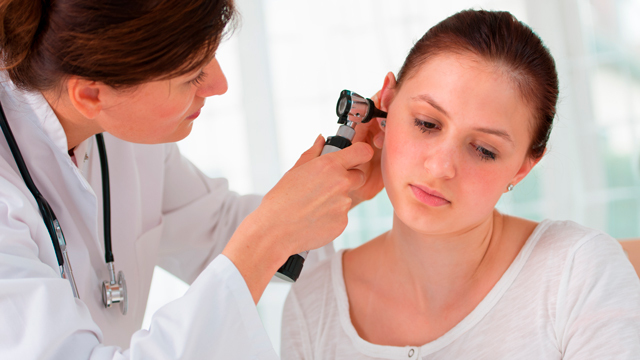 An otolaryngologist or ENT can help identify the source of the ringing and recommend treatment. As for my friend, I told her if the ringing wasn’t too bothersome, she should wait for this article and read about the causes and possible treatments for tinnitus in RFM. George Tarasidis, MD, is an otolaryngologist at Virginia ENT who sees patients in Midlothian and Colonial Heights. He lives in Midlothian with his wife. They enjoy spending time outdoors with family and friends.